This remarkable book enlightens novice and undecided voters about politics in America. 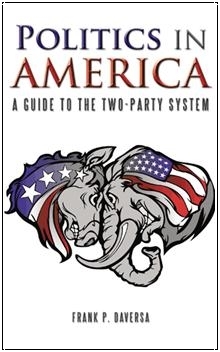 To start with, it describes the types of people who make up the two major political parties. Liberal to conservative democrats and libertarians to social conservatives are covered. Next, it discusses the parties’ respective histories, ranging from 1800 to the present day. Then it explains the ideologies of each, from social issues to economics to the environment. This is followed by a summary of landmark Congressional legislation, from the Glass-Steagall Act to the Affordable Care Act (a.k.a. “Obamacare”). Next, it provides terse commentary on issues relevant to the 2012 election, from taxes to abortion to national security. Lastly, it summarizes concepts every voter should understand before casting their vote on Election Day.